1. 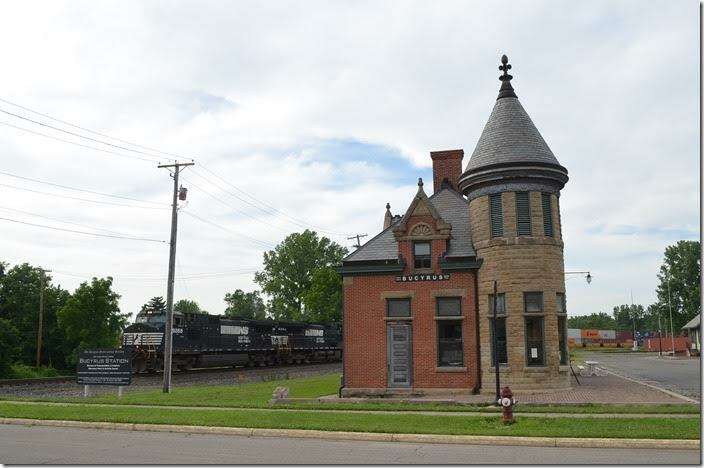 NS yard office at Portsmouth OH. 06-17-2015. 2. 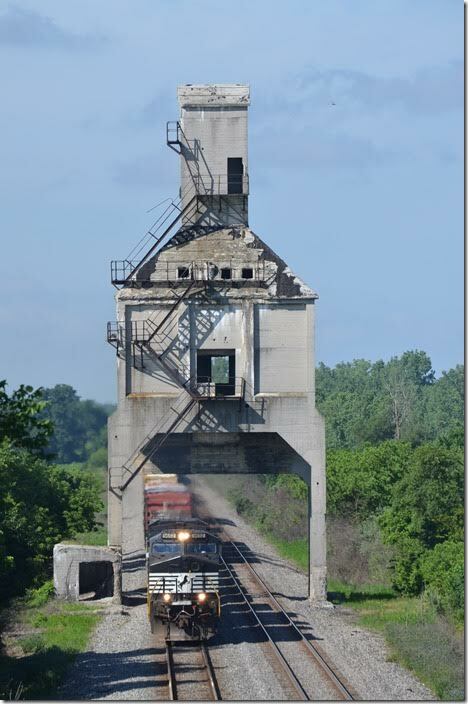 NS 9811-7285-7265 on e/b time freight 188 just north of Lucasville OH, on the Columbus District. 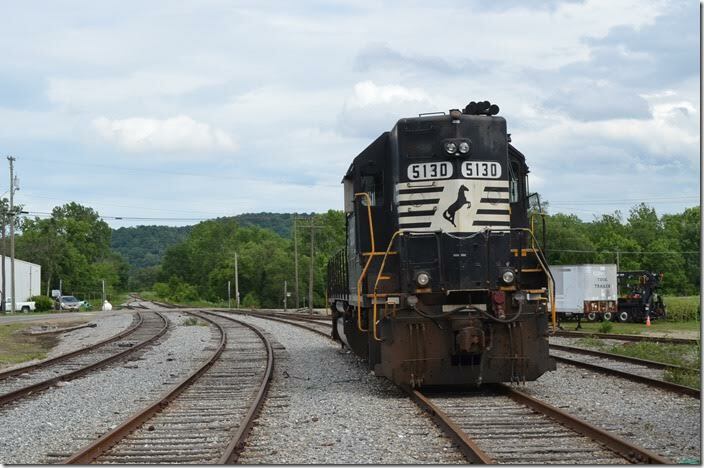 Ex-UP SD90MACs will be rebuilt and repainted by NS. 06-17-2015. 3. 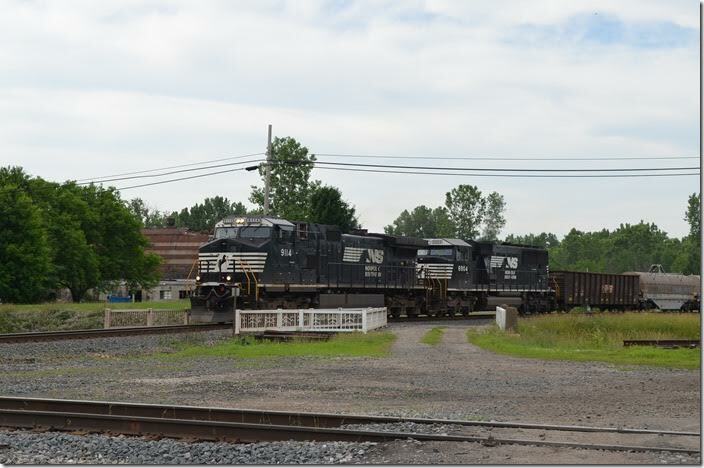 NS 5130 GP38-2 is parked on former Detroit, Toledo & Ironton track in Waverly OH. The connection with the former N&W at Glen Jean is around the curve in the distance. 06-17-2015. 4. 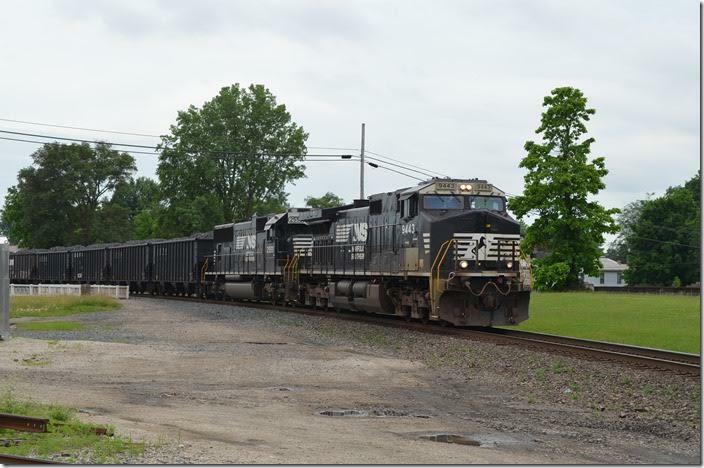 NS 9443-2555 rumble w/b through Bucyrus with 866-20, 104 coke loads from SunCoke Energy at Haverhill OH to Arcelor-Mittal at East Chicago. The restored T&OC station is at the far left. 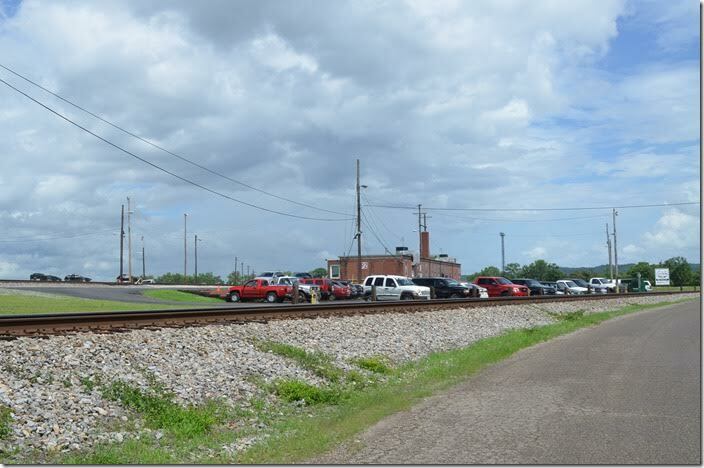 The CFE (former PRR main) crosses behind the aluminum signal house. Pennsy’s tower here was called Colsan. 06-20-2015. Colsan OH. 5. NS 9443-2555 Colsan OH. View 2. 6. Bensen passing siding is beyond the bridge. NS 9443-2555 Colsan OH. View 3. 7. CP 8525-8740-8892 lead e/b train 272 with 52 loaded multi-levels and 5 empty stacks wells. Colsan OH. 8. 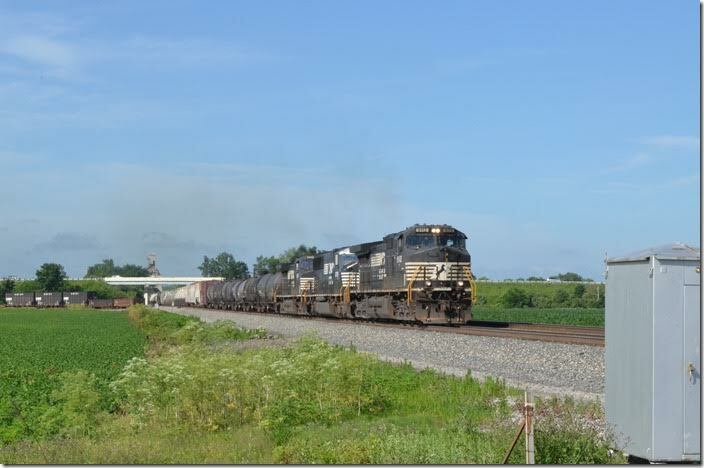 Ex-UP SD90MAC 7312 leads NS 8834-8430 on freight 174-17 (Macon to Elkhart) with 50/108. The southeast connection to the CFE is in the foreground. 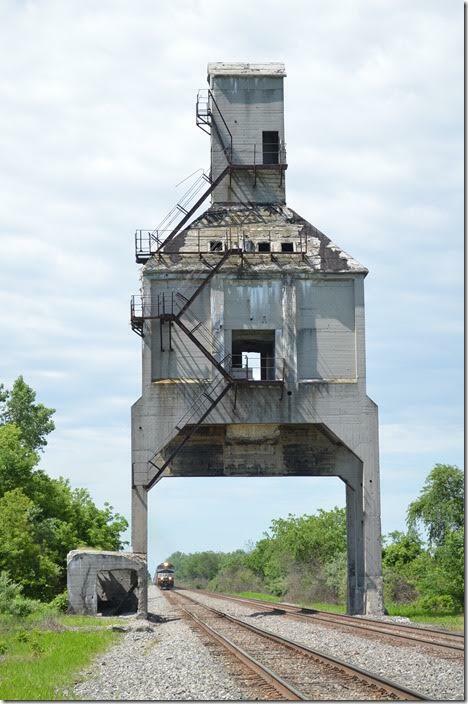 Bucyrus OH. 9. NS 7312-8834-9033-8430 Bucyrus OH. View 2. 10. 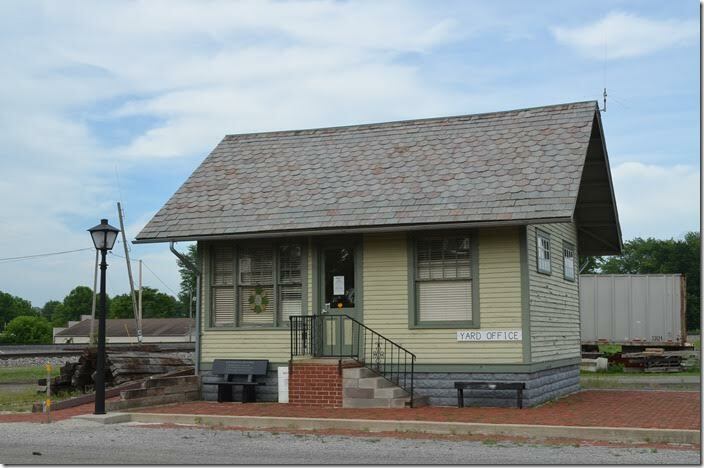 Restored T&OC yard office. 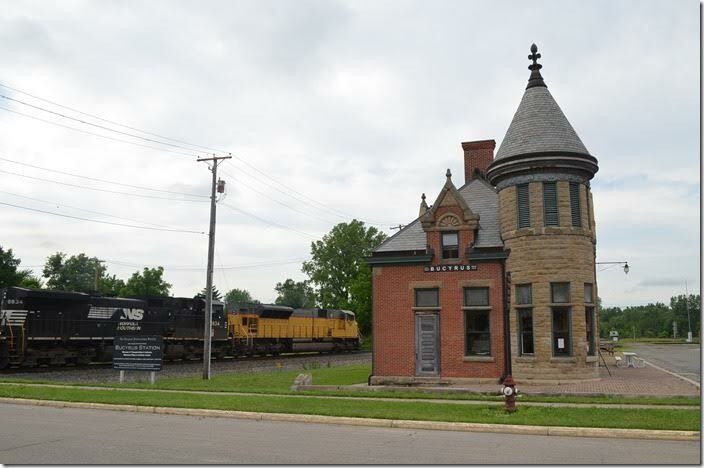 T&OC’s locomotive shop was in Bucyrus also. 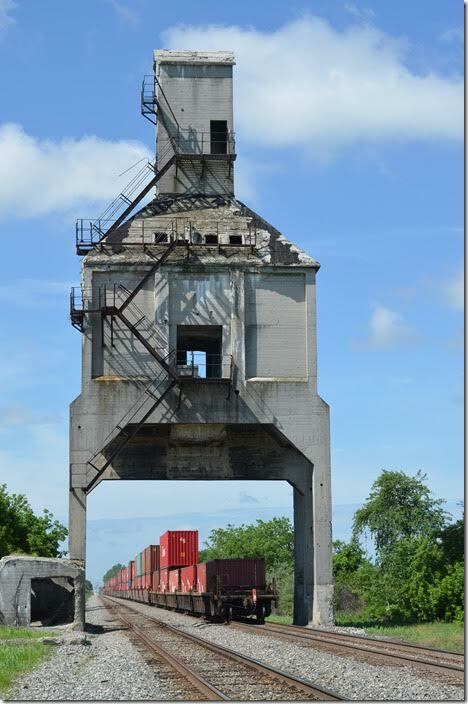 Ex-T&OC yard office Bucyrus OH. 11. 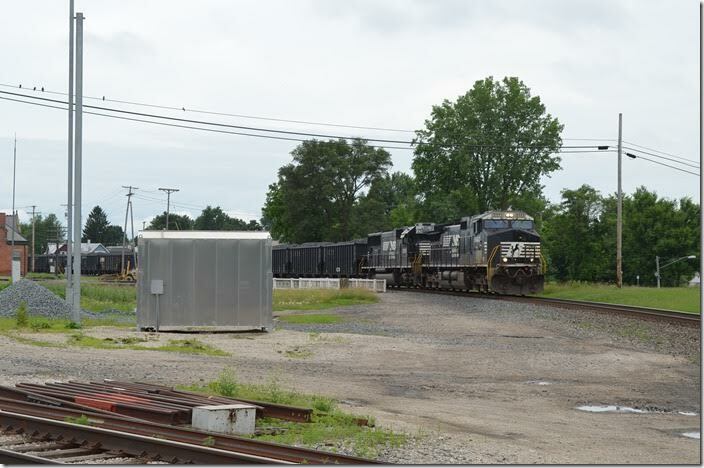 NS 9114-6904 approach the CFE diamond with 18M-20 (Elkhart IN to Linwood NC). Today’s 18M has 51/28. A small segment of the old T&OC East Division going northwest to an aggregate business at Spore is still served by the CFE. Colsan OH. 12. Landers to Norfolk 234-19 with NS 9288-9392-9003 follows hot on the heels of 18M with 45 vans. 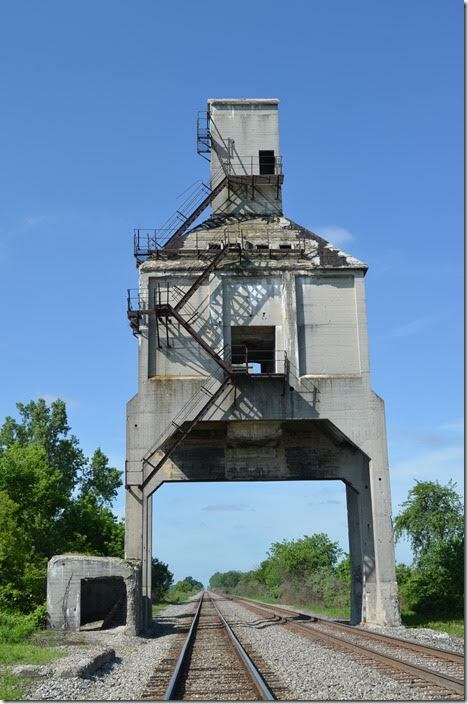 Bucyrus OH. 13. 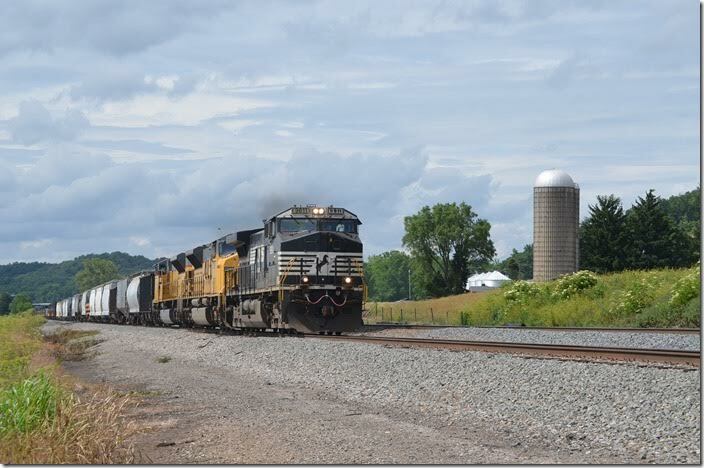 Good ol’ 174 (Macon-Elkhart) behind NS 9112-6759-9391 hustles w/b under US 23 at Harvey OH, a few miles north of Marion OH. This was the third time we caught 174. 06-21-2015. Harvey OH. 14. 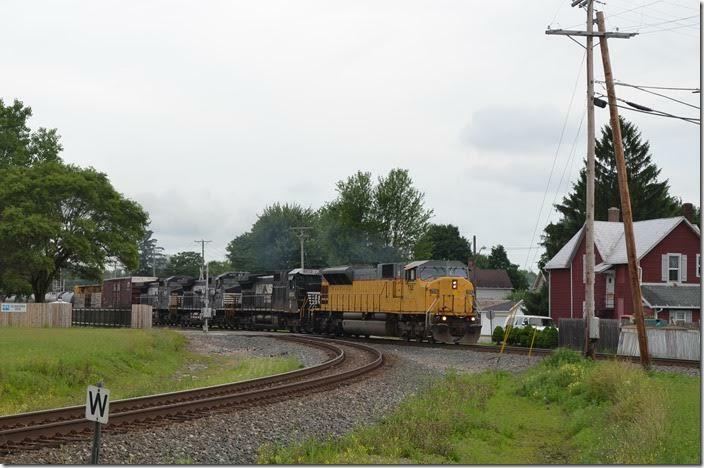 NS 188 e/b waits at Harvey OH to proceed through Marion OH. Pennsy 2-10-4s once got coal here on their trips to the Sandusky coal dock. 06-21-2015. 15. NS 9652-8401 hustles w/b with 116-19 (Chattanooga-Bellevue) and 43/28. Harvey OH. 16. 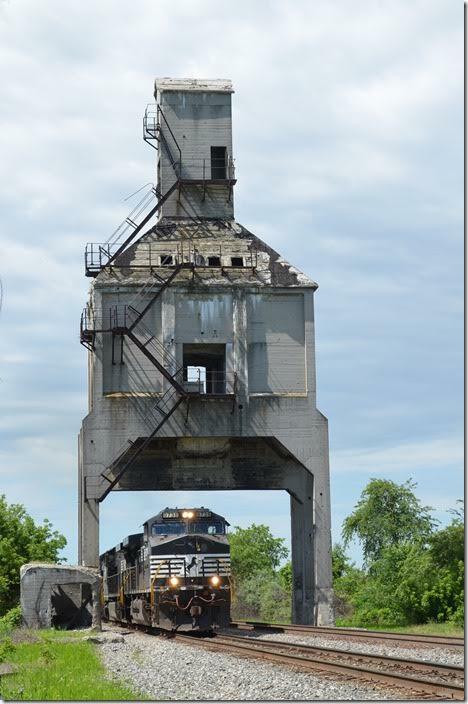 NS 9652-8401 Harvey OH. View 2. 17. 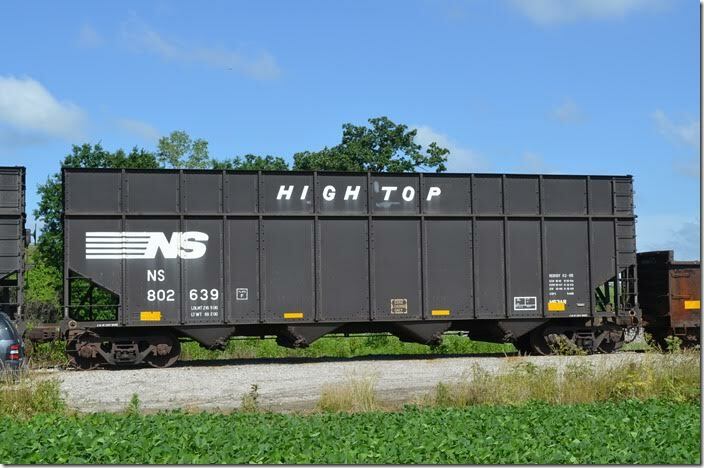 NS hopper 802639 was built 07-1978, but has been extended to 5465 cubic feet to haul coke. It is classed H63AR. Harvey OH. 18. The concrete is starting to crumble badly. PRR NS coal dock. Harvey OH. 19. BNSF 8137-7944 barrel by with e/b intermodal 26N-20 (Chicago-Ashland Ave.-Rickenbacker OH). Harvey OH. 20. That headlight in the distance is 27V-19. BNSF 8137-7944. Harvey OH. View 2. 21. 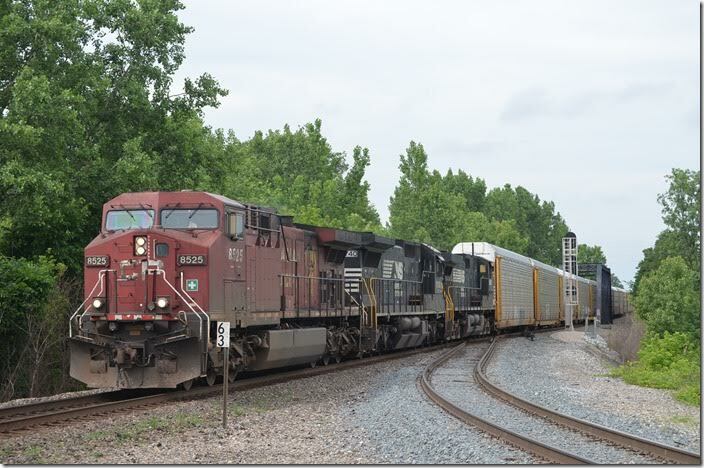 NS 9974-8350 blast by with 27V-19, an empty 42-car auto rack train from Walkerton NC to Sterling MI. NS 9974-8350. Harvey OH. 22. No. 195-19 w/b (Linwood NC-Bellevue) approaches behind 9738-9958-8707. NS 9738-9958-8707. Harvey OH. 23. Today 195 has 45/117. NS 9738-9958-8707. Harvey OH. View 2. 24. 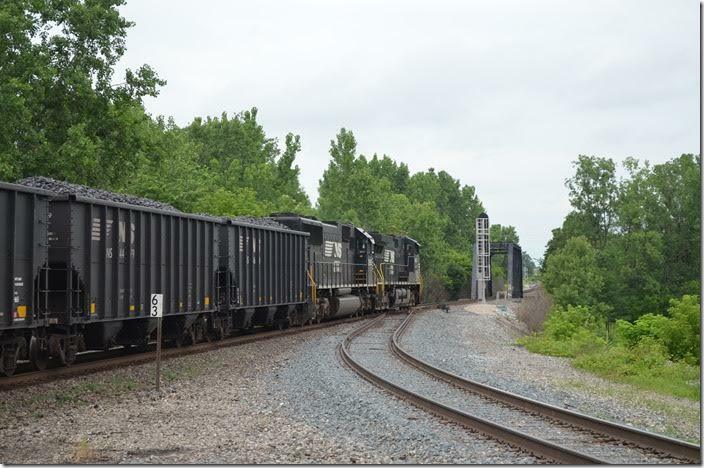 NS 8153 waits on the loading/unloading loop at NS’s Wheelersburg Coal Terminal on the Kenova District east of Portsmouth OH. 06-21-2015. Wheelersburg OH. 25. 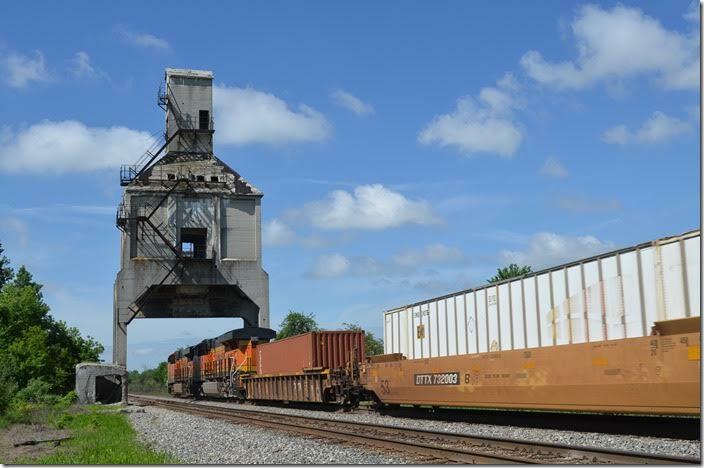 Wheelersburg has a rotary dumper and this unit train load-out. 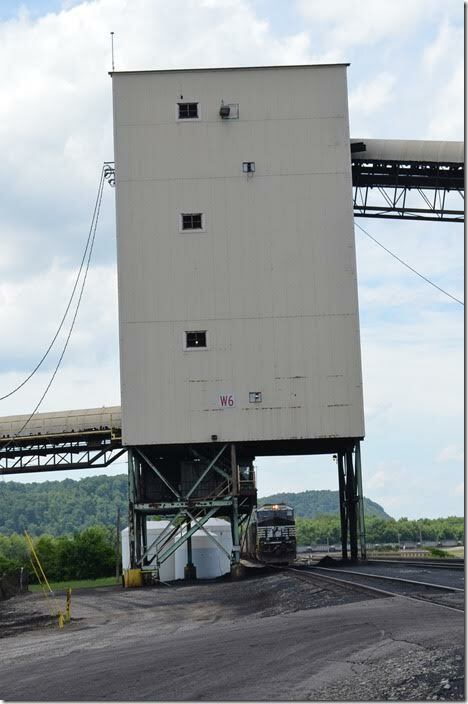 Coal can be blended for further rail shipment or loaded on Ohio River barges. 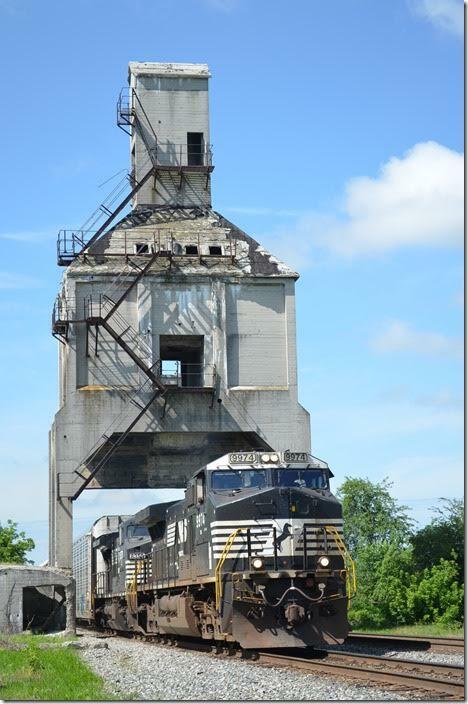 NS 8153 Wheelersburg OH. View 2. 26. 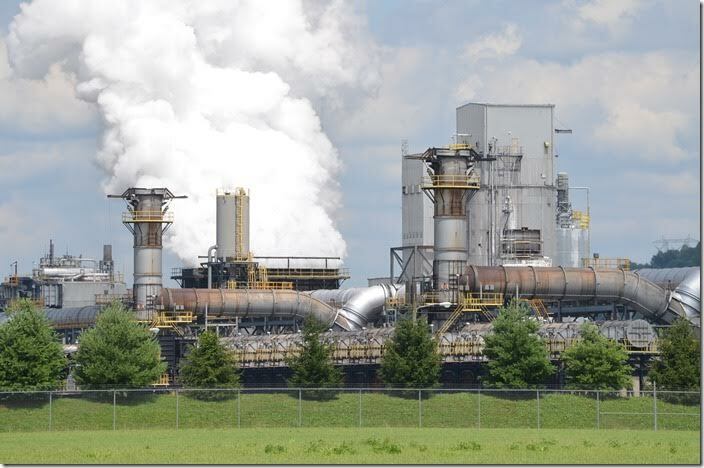 SunCoke Energy’s fairly new coke plant at Haverhill OH. 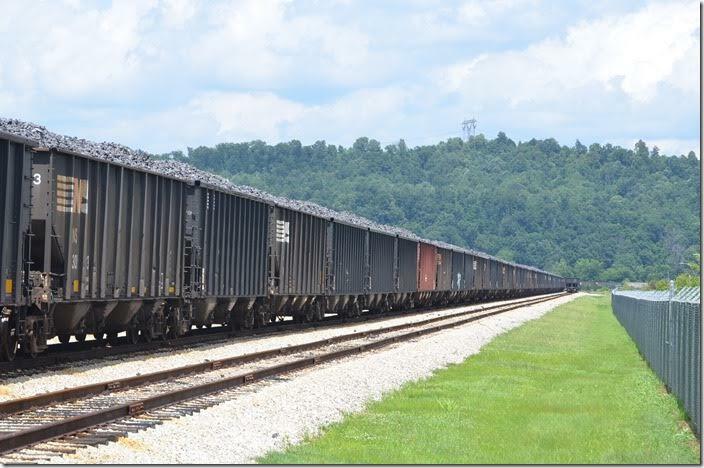 Production goes east to Kenova and then via CSX to AK Steel’s Ashland Works or west on NS. 27. Hot coke is being quenched with water. 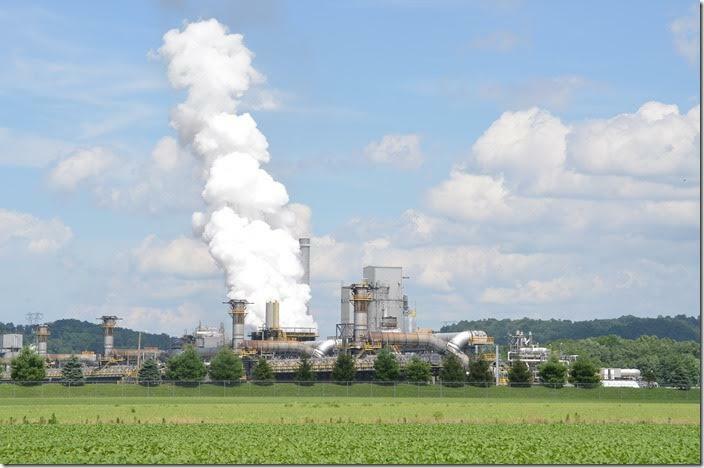 SunCoke Energy Haverhill OH. View 2. 28. Stub end sidings off the NS Kenova District main. 06-21-2015. 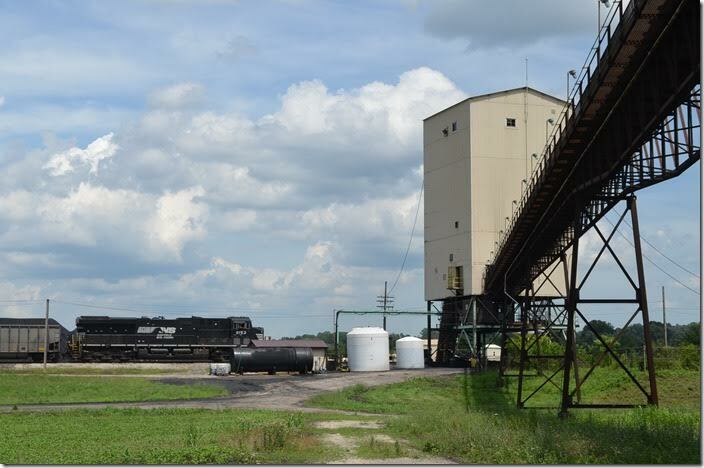 SunCoke Energy Haverhill OH. View 3. 29. 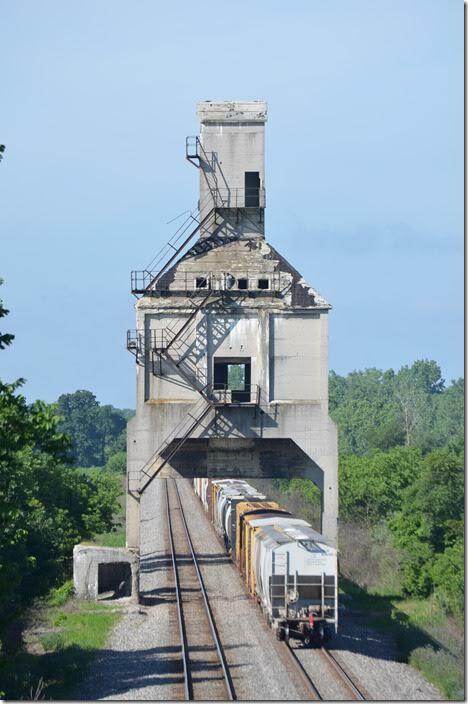 An e/b 60-car grain train rolls off the main line to the Big Sandy SD at Big Sandy Jct. in Catlettsburg. 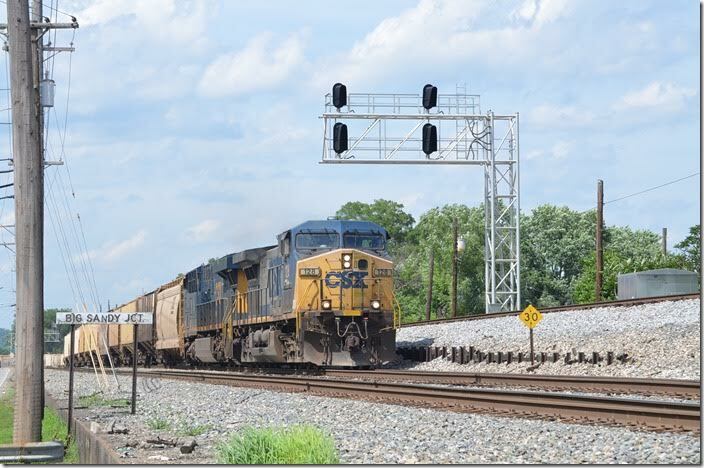 CSX 128-987. BS Jct Catlettsburg KY.
30. 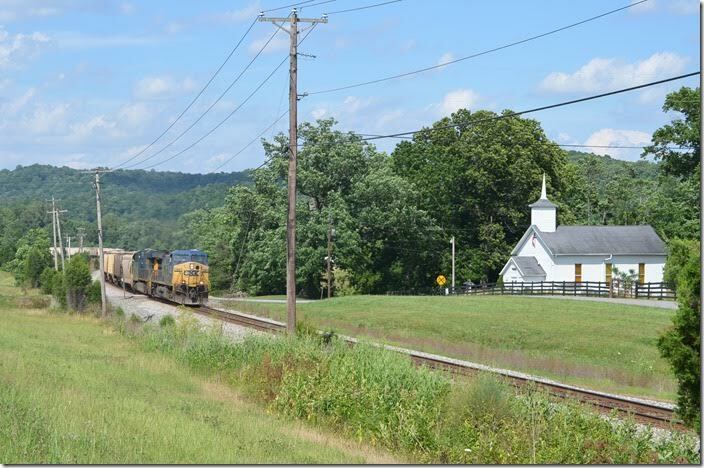 CSX e/b grain train behind 128-987 rolls by the picturesque Methodist church at Kavanaugh KY, on the Big Sandy SD. 06-21-2015. 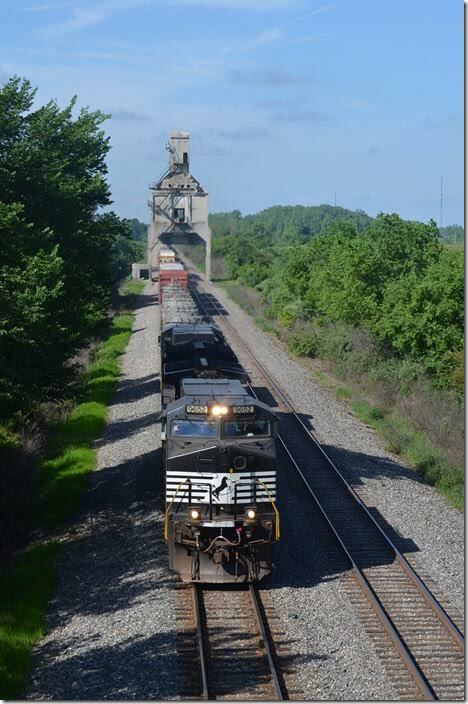 CSX 128-987 Kavanaugh KY. View 2. I head on home. It was a great N&WHS Convention.